ThirstyCity, the monthly hiphop/beat hangout, is returning from a small slumber with a massive lineup. 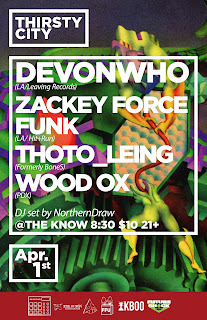 Devonwho and Zackey Force Funk, the heavy hitters of modern Funk and groove, will be hitting the cuts guaranteed to make you shake. 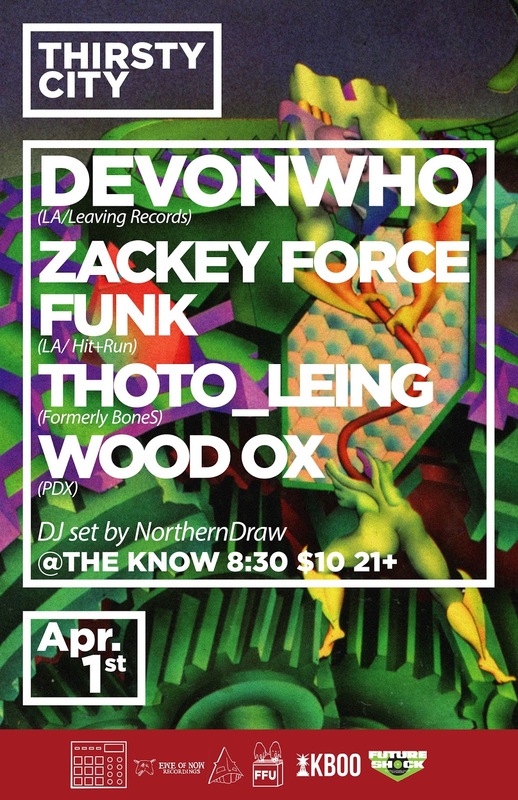 Backed with the underground thumps and stutters of Portland's own Thoto_Leing (formerly known as BoneS) and Wood Ox. Help us christen The Know's new location with a night of heavy synths and kicks that will resonate in your soul for a lifetime.